We all love our comfortable safe homes. That place we gather with our families and loved ones after long hectic days. The place that keeps us sheltered from the elements. In the hustle and bustle of our daily lives sometimes we are so busy we can overlook little hidden dangers. Small spots of water, little leaks and even our sponges and countertops. These are the obvious places where mold can grow, however there are other more hidden places where mold growth cannot as easily be seen and most homeowners won’t notice until there is an odor or moldy patches start to appear. Molds can spread fast and usually grow in the span of 24-72 hours. They feed on dry wall, wood and any other organic material inside the house. For this reason it can be a huge threat to us and our families if we do not take it seriously. No one wants to live in a house full of molds and the hazards they can create. There is also a certain type of mold namely, “Stachybotrys” which can start with the simple itchiness of your eyes, sneezing, cough which if not checked and diagnosed, could possibly damage your lungs permanently, which could eventually end in death. This is only likely to occur in the most extreme cases but why would you want to put your family at any unnecessary risk. It can destroy everything inside the house. Little by little, if not dealt with mold can destroy every part of the home. It does not discriminate between your important documents, frames, ceilings, wood beams, floors or furniture. These microscopic organisms will destroy it all. We may not be able to notice it at first glance, but later on when the mold patches are visible, the harm it has caused to your home is already evident. Mold generally starts from a small spore that then grows into clusters. These clusters can spread easily if not discovered early. We cannot say whether our home is mold-free or not if our home does not undergo a home inspection. Home maintenance is an essential procedure in making sure that there is no mold growth in our home. There are professional mold inspectors available who will gladly come out and test your home. Having this done can help guarantee your home is safe, and that your family is living in a heathy environment. It is always better to let the professionals handle our concerns before it becomes a serious problem putting ourselves at risk. 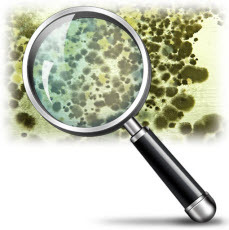 If you want to know more about mold prevention, check out http://funguyinspections.com/.